When we hear 'Balearic' we immediately think about that typical setting where we'd all like to be: coves lapped by the turquoise waters of the Mediterranean surrounded by forests where you just want time to stand still. Truth be told, Majorca, Minorca, Ibiza and Formentera (the largest islands in the archipelago) are tailor-made to enjoy the weather, the sea and sailing. The islands are not just about beaches. In fact, UNESCO has included the island of Ibiza and its culture (e.g. Dalt Vila, the old city of Ibiza, is an extraordinary example of Renaissance military architecture) and the cultural landscape of the Serra de Tramuntana (located in Majorca and home to fascinating monuments and towns such as Sóller, Valldemossa and Pollença) on its list of World Heritage Sites. If we add in the great climate, tranquil waters, incredible nightlife, especially in Ibiza (party people will love the shows from the world's best DJs), the chance to gaze upon unforgettable sunsets from the deck of a boat and the opportunity to take the time and savour typical products such as ensaimada pastries, Mahón cheese, herb liqueur, sobrassada sausage, a fish tumbet ratatouille or a lobster broth by the sea (and on these islands, 'slow food' is a must), who wouldn't want to visit at least once in their lifetime? These Spanish islands are so well loved that many film stars, sports personalities and members of royal dynasties choose them to take a break or even for a second home. Indeed, it is fairly common to come across celebrities enjoying the summer whilst sailing their yachts around the islands. Stars who have fallen under the Balearic spell include Naomi Campbell, Paris Hilton, Will Smith, Leonardo DiCaprio, Valentino Rossi, Rafael Nadal... If you dream of discovering the islands by sailing boat, you can hire one with or without a captain and crew or, if you prefer, book a place or a cabin on one (always have a look at the options available at all the marinas since there tends to be a wide selection of regatta, classic, schooner boats, etc.). Bear in mind too the features of the vessel (length, draught, number of beds, cabins and bathrooms...), the equipment (GPS, VHF radio, guide and charts, etc.) and the available extras (provisions, final cleaning, bed linen...). In broad strokes, sailboats that travel along the coast tend to have 3 to 5 cabins, a couple of bathrooms, a kitchen and, of course, a deck for sunbathing. In terms of prices, they tend to be lower than boats with an engine due to the lower fuel costs. Depending on the type of trip you have in mind, you'll need either a shorter vessel designed for just a few passengers (e.g. 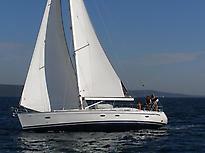 travelling as a family) or a larger vessel designed for groups of over 12 guests (e.g. if travelling with a group of friends). The following link, , has more information on what papers you should bring. Many travellers, even those with the official sailing certificate, prefer to hire vessels with a captain who already knows the most interesting spots to cast anchor. It is a good idea to gather information from any of the marine resorts in the Balearic Islands (specifically four: Santa Eulalia, and Sant Antoni and Sant Josep in Ibiza, Llucmajor-Bay of Palma in Majorca and the resort in Minorca) since they specialise in sailing and organising activities such as windsurfing, scuba diving, paddle surf, whale and dolphin spotting... In order to properly discover the Balearic Islands by boat, it's a good idea to spend at least one week around each of the two largest islands (Majorca and Minorca) and another week in Ibiza and Formentera, although there are shorter trips that connect several islands. You will love the sensation of anchoring in coves where people cannot get to by car, the experience of spotting dolphins, night swimming when it's hot, seeing the fluorescent plankton phenomenon or star gazing from the deck. We also recommend mooring your vessel for the day and hiring a car or bike to travel around the different landscapes on the islands, both coastal and inland, making sure you enjoy the most exclusive side of the islands, having a drink on the coolest terraces at the 'in' restaurants, clubs or beach clubs that tend to start the day off with breakfast to then transform into cocktail bars in the evening. The best and most enjoyable weather for sailing is between April and October, with summer being the most stable time of year (although you need to bear in mind possible high winds at sea). Moreover, the northern areas can even see some snow during winter months so it is advisable to not go out sailing at this time of year. The Balearic Islands have three airports (Majorca, Ibiza and Minorca) with international flights, welcome lots of cruise ships and offer ferry services between the islands. When are you coming? The size of the island means many find it complicated to travel around the whole island in just a week, so you might want to pick an area or even spend a couple of weeks sailing here. The Majorcan coast is home to lots of beaches with over 150 diving sites. There are harbours and marinas all along the coast housing businesses dedicated to boat rentals. Find out more about marinas and yacht clubs, sailing, diving areas and sailing charters at the following website . When it comes to sailing around Majorca, you might find it interesting to know that there are few currents and the strongest wind is the NW tramontane. It is advisable to sail anti-clockwise in summer to make the most of the wind. The island capital is a must-see on your trip. In fact, it is such a buzzing destination that many people choose the city for their entire holiday. If you moor in Palma, and if you have only one day for a visit, it's a good idea to know there are a few must-dos here. Firstly, take a pleasurable stroll towards the impressive Gothic cathedral (renowned architect Gaudí was responsible for its renovation. Another highlight is the original work by the artist Miquel Barceló in the Santísimo Chapel). From here (and after enjoying the panoramic view of the bay and Parc de la Mar gardens), you'll love discovering La Almudaina Palace, the Bishop's Palace and the Town Hall, rounding your walk off at the old merchant exchange. Bellver Castle is a little farther out. The views from this monument, which has protected the city since the 14th century, are alone worth the trip. Culture lovers will be pleased to know they have the chance to visit the Es Baluard Contemporary Art Museum, the March Palace and museum, and the Pilar and Joan Miró Foundation. Shopping fans should head to the Borne parade, Unió street, Plaza Weyler and Jaume III street. If you have time and want some beach fun before heading back to your boat, take a dip on one of the city's beaches such as the famous Playa de Palma with its many shops, restaurants and clubs. The next page has a full guide to sailing services in Palma. Departing the port of Palma de Mallorca, you can head to one of the most touristic spots on the island, the area of Porto Cristo (there are several mooring options such as the Port Cristo Yacht Club), which is home to the famous Caves of Drach with their large underground lake (the visit includes a classical music concert and a boat trip on the lake). The town of Manacor is nearby. If you continue towards the north, you can also visit the Caves of Artà and then head to Capdepera and be charmed by the Castle and Canyamel Tower. Just next door is Cala Ratjada - the eastern most point on the island. The lighthouse area offers impressive views and on clear days, you can even see Minorca. 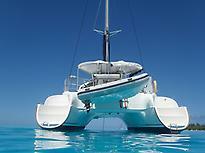 There are also several mooring options here such as Cala Ratjada marina or Cala Ratjada Yacht Club. Cala Mesquida lies a little further to the north and is the perfect spot for a dip surrounded by a landscape of dunes and pine trees. There are also other coves well worth a visit such as Cala Torta, Cala Varques… The hard part is choosing which one. The southern part of the island tends to be quieter meaning it is easy to travel the coast. Some of the best-preserved natural sandy spots can be found here and anchoring is a treat. A good starting point is Mondragó Nature Reserve where you can take your first dip near Cala Figuera. The next stop is a must-see: Es Trenc beach is one of the best sandy areas in Majorca as it has not been developed, offers crystal-clear waters and is a favoured spot for visitors. In addition to the city of Palma, which we mentioned above, the north west of the island is home to the fascinating Serra de Tramuntana mountain landscape that is perfect for hikers and cyclists. The 100-kilometre mountain range runs parallel to the coast from the town of Andratx to the Cape of Formentor and has been a place of refuge for writers and painters for many years. Indeed, one of Majorca's greatest charms is how the landscape shifts from mountain to wide sandy beaches in the blink of an eye. Beyond sailing, you can spend a couple of days discovering some of the most charming towns and villages on the island within a small area: Valldemossa (with its pretty Carthusian monastery where Chopin and George Sand stayed), Deià (do not miss the views from the gardens of Son Marroig) and Sóller (did you know there is a period train with traditional wooden carriages that links Palma and Sóller on a track through mountains and valleys?). If you have time, you can head to the Lluc Shrine from Sóller. Today we recommend starting from Pollença, with its mediaeval old town and busy port. How about a refreshing dip on the beach at Cala Murta? Alcúdia is nearby and is also home to a full-service marina. It is a pleasure to stroll around the walled old town where the Xara and Palma gates still stand, as well as taking a dip in the unspoilt local coves. Many recommend the cove of Coll Baix. 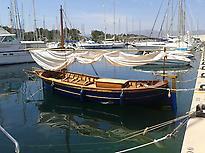 One option for anchoring near the bay of Alcúdia is Es Caló, next to Sa Colonia de Sant Pere. The best spot for watching the sunset is Formentor, where you'll find one of the most beautiful viewpoints in Spain: Es Colomer vantage point. The following day you can leave the north east of the island and discover the coastal town of Can Picafort, the Shrine of Betlem and bid farewell to the Mediterranean at Cala Mitjana. Palma de Mallorca has one of the busiest airports in Spain, located just eight kilometres from the city and just two hours from the main airports in Europe. The main sea ports in Majorca are Palma and Alcúdia. There are also several companies that run maritime routes between the islands. See the section for further information.